This is a 1937 Pelikan 100Nf Desk Pen in Green Pearl. GFT. Celluloid barrel with amber visualated barrel. 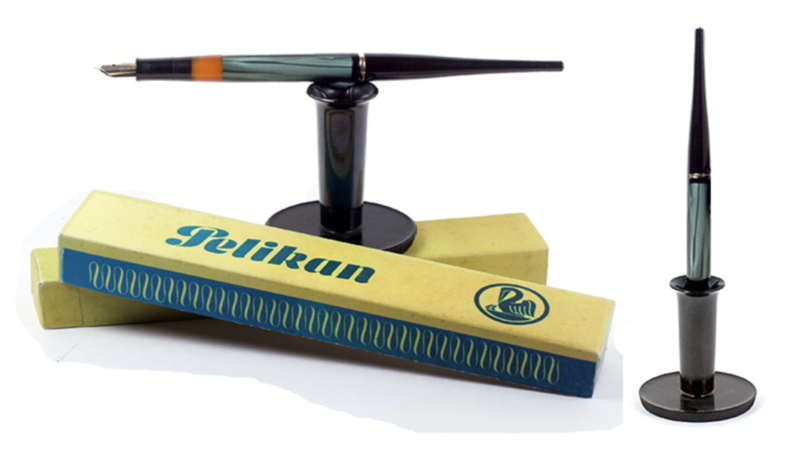 Rare model from Pelikan’s Italian plant with integrated barrel binde (as opposed to a separate sleeve). Fine, semi-flexible nib. A few minor scratches to the visualated barrel window, otherwise near mint. Rare early Black Bakelite Desk Base. Pen comes with reproduction box. Check out our Catalog to view this item’s availability! Item #69 in Catalog #85. 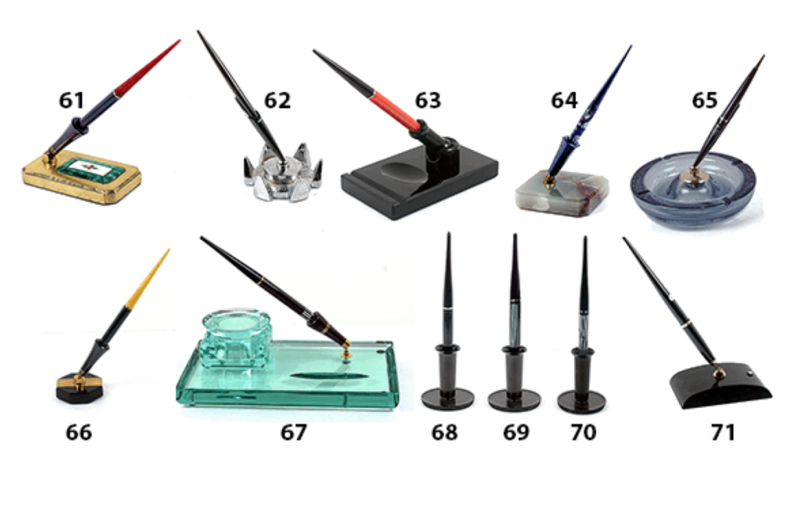 This entry was posted in Vintage Pen, Vintage Pens and tagged Catalog, Catalogs, Desk Pen, Desk Set, Extraordinary Pens, Fountain Pens, Go Pens, GoPens, Pelikan, Vintage Fountain Pen, Vintage Fountain Pens, Vintage Pen, Vintage Pens. Bookmark the permalink. Follow any comments here with the RSS feed for this post. Post a comment or leave a trackback: Trackback URL.